With the completion of their first pre-fabricated steel swimming pool, Ox Engineering has one more specialty to add to their credentials. 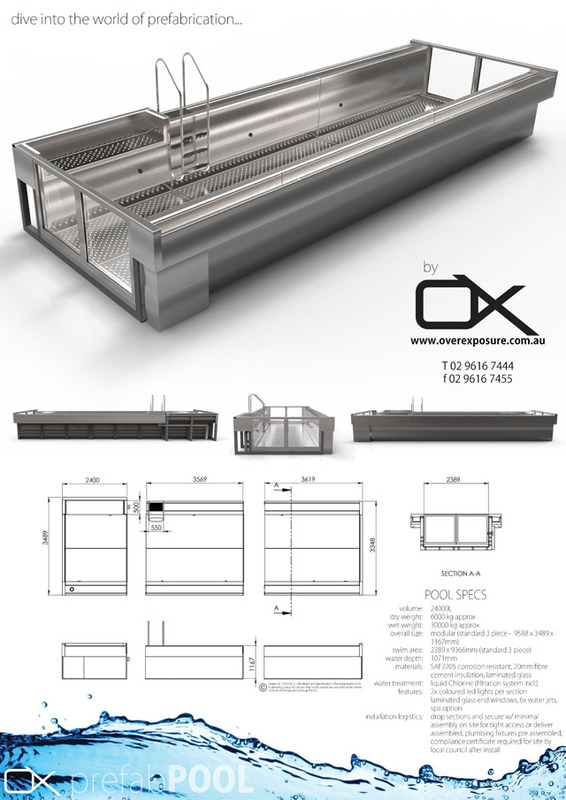 The team from Ox Engineering was already manufacturing a housing system constructed from pre-fabricated steel, so the concept of a pool constructed from pre-fabricated steel was just the next step. The pool is made up of modular pieces that are easily connected to create a fully functioning lap pool. More pieces can be added to make it longer. The pool is made up of toughened glass and Chlorine-resistant stainless steel. Designed to be mounted on piers and cantilevered just above the ground, it makes the pool perfect for areas with limited access or where excavation is difficult due to confined space. 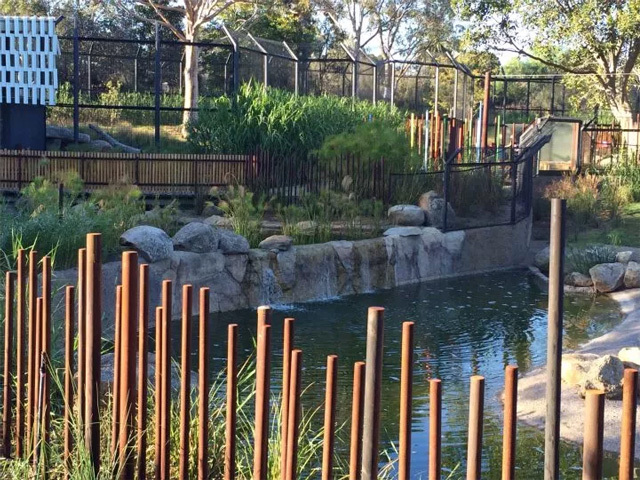 The construction of the pool is extremely flexible, allowing it to be configured and transported in different sections and arrangements to suit both client, logistical and site requirements. 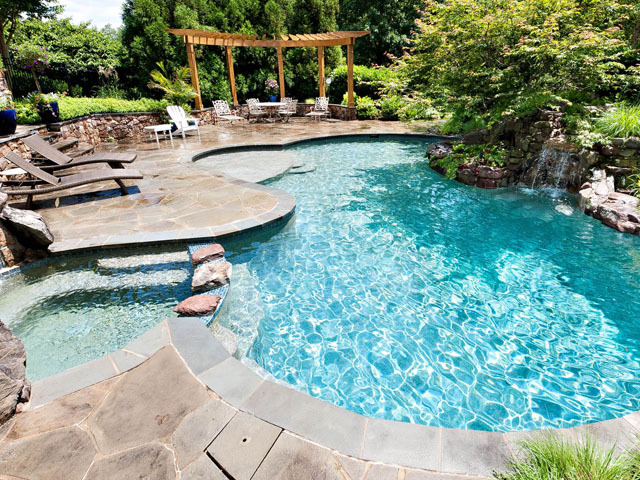 The pool length can vary to meet any client’s special needs and budget, allowing purchase of additional sections to increase the length of the pool. A spa segment can be included at one end of the pool, with a specially designed polycarbonate section divider that slides in with ease. 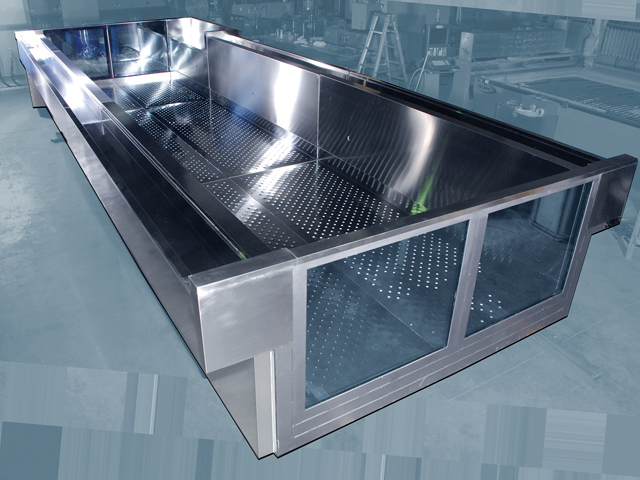 The chlorine resistant stainless steel that lines the pool is now very desirable in commercial and home kitchens. It is durable, tidy and lasts a lifetime with minimal maintenance. Because only limited room is needed to install this pool, it is perfect for any ground or first floor addition to, a terrace house, duplex or smaller courtyard space. 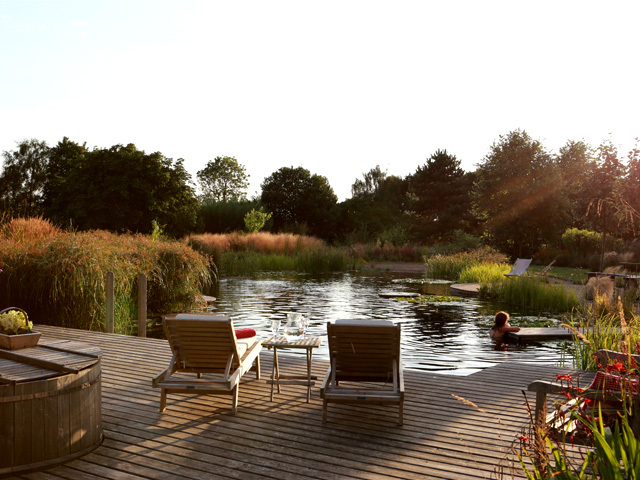 The practicality of this pool lies in the fact that it’s now like any other household furnishing item – it is simple to assemble and easily removed should an owner wish to take it when they relocate. 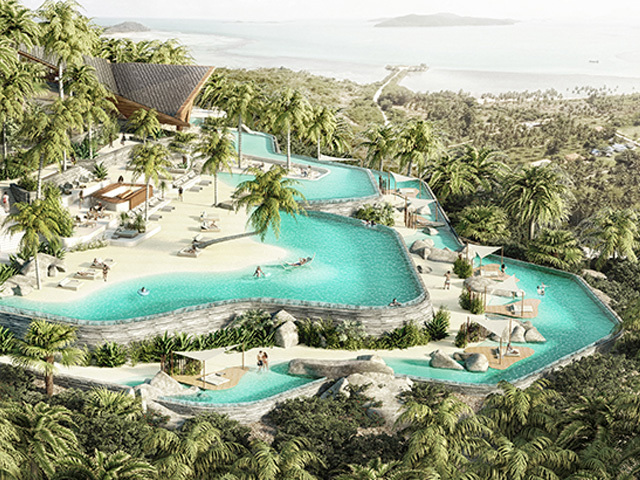 The pool has 6 jets (inlet) encased with glass the pool has multi-tasking capacity as it can be turned into a swim pool with resistant jets. It has a cartridge filter and a heater can be added. Many other special client requirements can be included with ease. Terry Tisdale, owner of Ox Engineering group, has been in the business for 25 years and has invested a lot of time, effort and money into the research and development of this project. “The most rewarding part of this project was working with a pool expert, Richard Dunn from ‘The Pool Clinic’ at Georges Hall, who was very excited and enthusiastic about the great potential to make this very accessible and portable pool and spa. As well, it has great filtration and is easily maintained”, Mr Tisdale said. 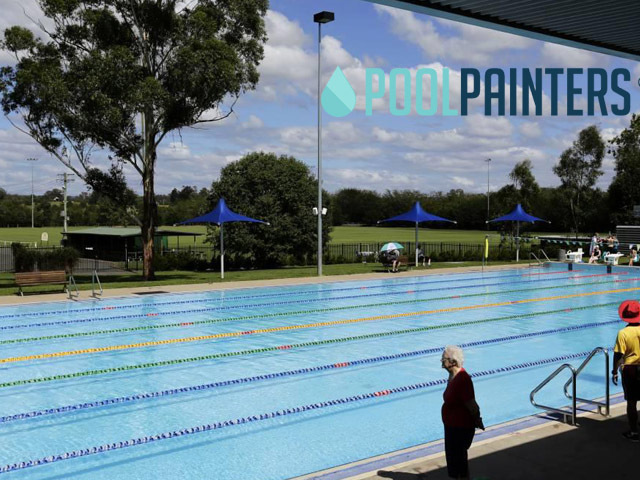 “The pool has been designed to use liquid chlorine, the cheapest and most effective method of cleaning and maintaining a pool in today’s environment.